Concrete flooring is a one-stop solution for a man on a budget. It is cheap, durable, and does not involve complicated machinery. However, these versatile solutions may have many problems. As long as one does not run into any problems, things are fine. However, if you do, one may become overburdened by this problem. The reason is that problems involving concrete need huge and intricate solutions. 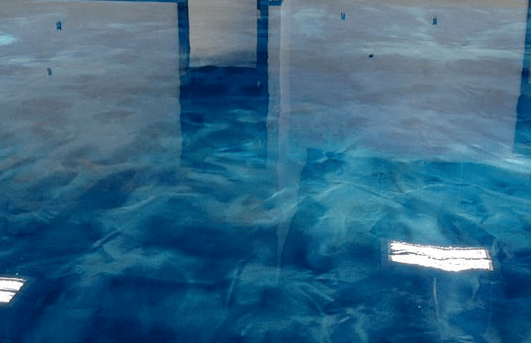 Dallas Epoxy Pros have experience in providing excellent concrete flooring solution. We can get their help and advice to solve any problem affecting floors. It takes time and a huge effort to rectify any problem that arises. Here is a look at the solutions provided by our company for various common problems one faces with floors. Bare concrete looks dull with its grey color and lack of pattern. It looks better when polished or when we add color to its surface. We add patterns or borders to make it attractive. 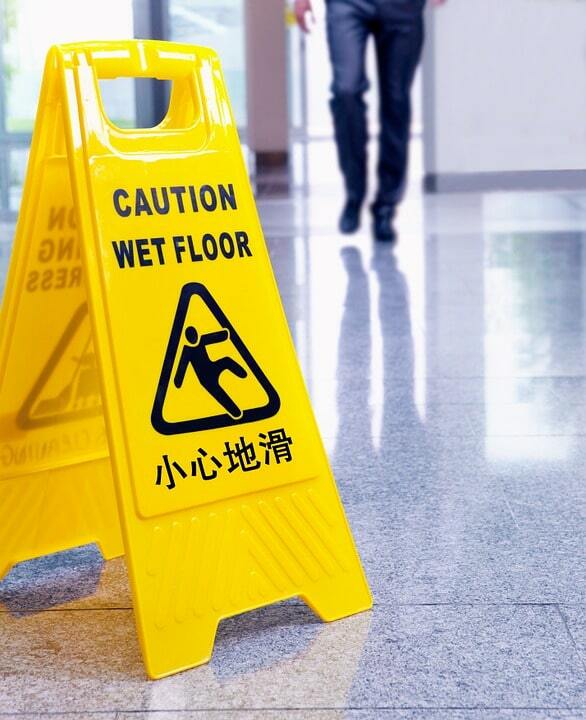 Plain floors are slippery because there is very little friction. We can increase this value by scoring. Scoring is the best way to increase grip. We need this in our bathroom and other places where we have water like near a garden tap. Concrete is not waterproof. This porous nature makes is susceptible to water absorption. The holes and cracks attract much dirt that, at times, might be a hazardous waste. Applying a layer of concrete with a water repellent or use an admixture known as permeability reducing admixture (PRA) will improve its property. You can also apply a surface sealant that reduces surface absorption of water and stops the organic growth. It will protect you against an unwanted invasion of fungus. On a plain surface, much of the light gets absorbed. This is due to its grey color. We can polish a surface to improve the amount of light it reflects. Adding light-colored dyes to a surface will improve light it reflects. This will help us reduce the number of lighting fixtures we need for internal spaces. A lot of dust accumulates on a floor, and this might cause trouble for the people with allergies. Again, a solution is to polish concrete. We can do manual grinding with 800 grit stones to improve the shine. A professional service provider like Dallas Epoxy Pros can do this since they have plenty of experience in this. Once concrete gets polished, it will stop accumulating dust. A simple run in a vacuum will get rid of dust because it will not adhere to its surface like before. In garages and large warehouses, we can incorporate huge navigational signs on a floor. This will help with the movement of vehicles. Since it does not protrude out like conventional signs, they will not take up space. Navigational signage finds its use in large shopping centers and even restaurants. We can help you do this because resurfacing work is simple, and you will have your garage or mall ready for traffic in six hours. Different types of floors help to improve the quality of work output. For instance, in those places where we have a risk of electrical leaks, the use of antistatic resin finishes on a surface will reduce the risk of accidents. In places where there is a flow of water, scoring its top surface will improve the grip one gets. Treating a surface to change its properties helps when you have a specific need. You can get help from the concrete treatment specialists like Dallas Epoxy Pros. Untreated, plain concrete is open to all kinds of action from the elements. Temperature affects it just as does water and pollutants. Not only does it remain affected by all the normal pollutants, but it also remains open to de-icing salts and automobile traffic. We can improve a surface by hardening it making it impervious to water seepage. Installing floors for homes and offices take place in a routine way. However, when you want to do treatment or polishing, you need professional help. To this end, here are some things we can do. You can resurface your walkway if it has cracks and has an uneven appearance. First, we repair all the broken pieces of your walkway. Once they are hard, we begin the resurfacing process. We use about 5 bags of resurfacing material for making a ⅛ inch thick surface on 16 x 24 feet area. It is important not to have lumps in the mix, so we use a ½ inch drill (with a paddle mixer) to mix a resurfacer. Normally, we use one 40 lbs bag of powder to 3½ quarts of water. Once we get a lump-free pourable consistency, we begin to pour concrete for your walkway. This is 90 square feet to each bag. It is important that we wet the surface of your walkway before we begin to apply resurfacer. This will saturate the old surface, so there is a good bonding with the resurfacer. The underlying concrete will draw water from a resurfacing material if we do not wet it first. We apply a non-slip finish once this resurfacing work is over. This gives your new walkway a neat appearance so we work this slowly all the while making sure the brush strokes are even. Decorative polished concrete floors are the preferred choice for most homeowners or entrepreneurs who want a touch of class to their interiors. Simple to do with down-to-earth prices, we are one of the many flooring service providers that can help you in this respect. Use our professional expertise to install your office or home floor. Dallas Epoxy Pros will help you get the job done efficiently in quick time.